I never thought I’d need a cow’s brain and a credit card for this lil’ ol’ Global Table Adventure of ours. The thing is, if I were to make Kisra in the most authentic way – the South Sudanese way – that’s exactly what I’d need. Locals would use the cow’s brain, which is naturally quite fatty, to grease the pan. I got the tip on good authority; from this amazing South Sudanese food post on Green Shakes in Sudan. There you’ll find photos of local women rubbing brain renderings on their flat griddle-like pan. 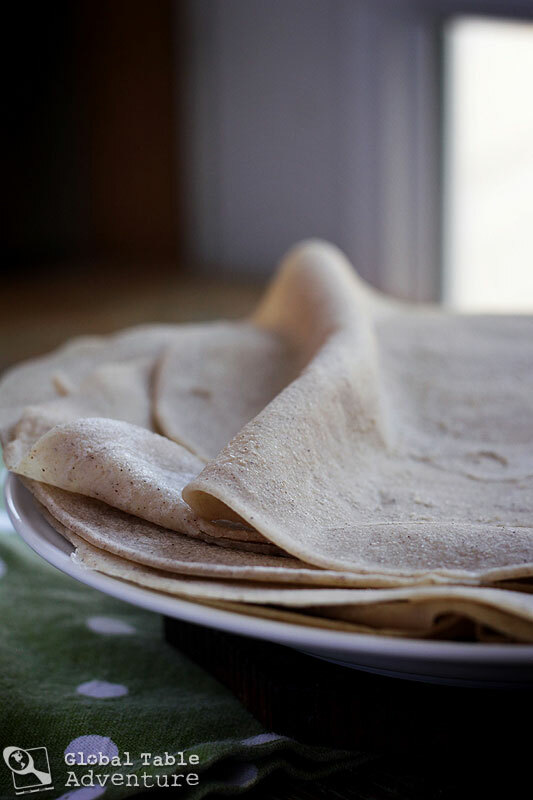 According to The World Cookbook for Students, unroasted sesame oil works fine as well… and gives the wholesome crepe a clean sort of flavor and makes them entirely vegan. I know what I chose…. what would you choose? Now, let’s talk credit cards. I read several passages that indicate locals spread out the kisra batter with credit cards. I had a small plastic scraper that worked just fine… but the credit card would definitely add a touch of excitement (will it or won’t it melt?!). The important thing is for it to be small and easy to move around the pan at a 30 degree angle (as Keith demonstrates above). 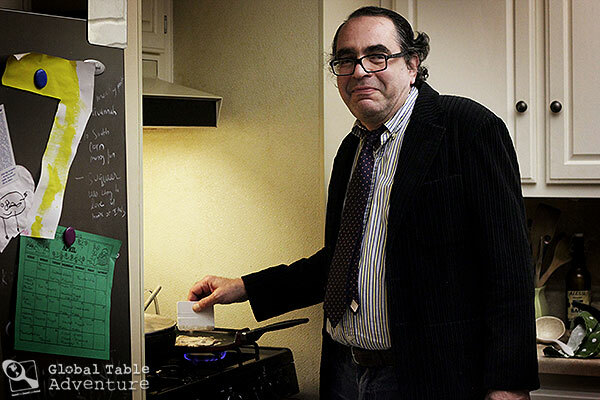 Brian Schwartz, who you’ll recognize from his thoughtful and informative comments, joined our Global Table this week… he had fun trying his hand at Kisra making, too. Tip #1: The South Sudanese collect any “mistakes” to ferment into a boozy drink. Waste not, want not! 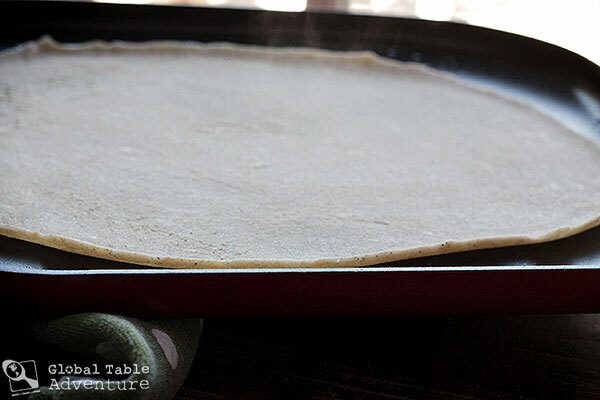 Tip #2: I learned from first-hand experience that, if you use all Sorghum flour, the crepes crack and fall apart. 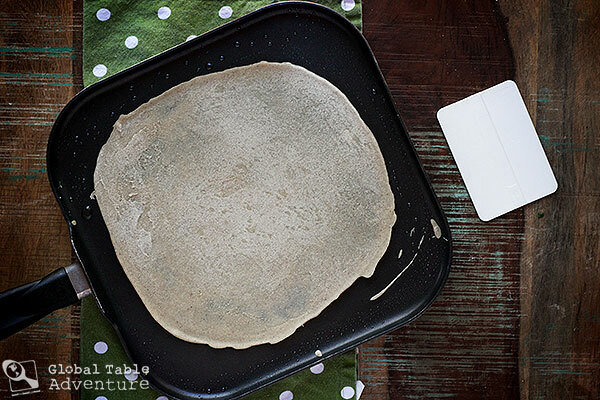 Including some all-purpose flour is critical (and even makes it easier to spread on the griddle). Nonstick pans are also best for beginners. First, find a lovely vista in South Sudan from which to cook, where the green and the rock meets the blue and the cloud. Panoramic from the top of Mount Kinyeti in South Sudan, looking further into the country. Photo by AIMikhin. Next, mix the sorghum flour with 1 1/2 cups water and let sit overnight (at least 12 hours). Take a long walk through that misty mountain while you wait. Ladle some kisra batter into a greased pan over medium heat. Immediately take a credit card or small scraper and, holding it at a 30 degree angle, spread the batter around smoothly. This can take some practice. Feel free to eat the works in progress. Serve the wholesome, snappy kisra with any thick, hearty stew (recipe coming soon!). Enjoy the delicious, whole grain flavor with a smiling friend, old or new. 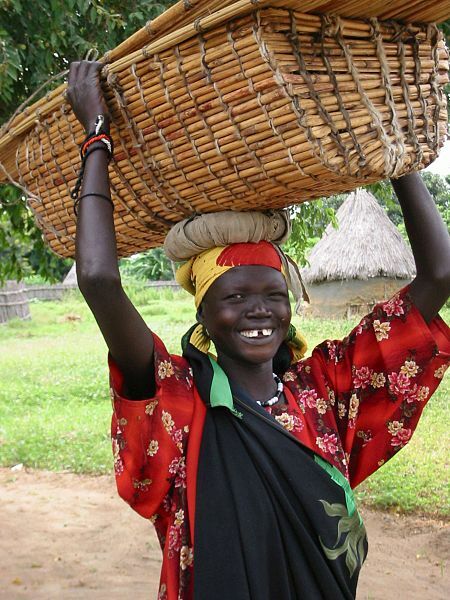 Woman from South Sudan. Photo by COSV. P.S. 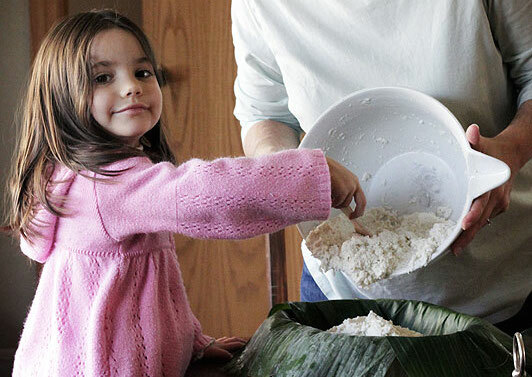 Have you ever used – or even heard of – Sorghum flour? This was a first for me (I had never even heard of it), so I’m eager for more ideas on how to use the flour. 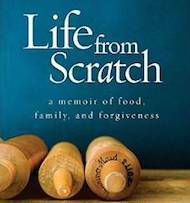 I read several passages that indicate locals spread out the kisra batter with credit cards. I had a small plastic scraper that worked just fine... but the credit card would definitely add a touch of excitement (will it or won't it melt?!). The important thing is for it to be small and easy to move around the pan at a 30 degree angle. Stir in the all purpose flour and last cup of water, to form a thin batter. Ladle some batter into a greased pan over medium heat. Immediately take a credit card or small scraper and, holding it at a 30 degree angle, spread the batter around smoothly. When the edges begin to curl up, the kisra is done. This should only take a minute or so. Stack them on a plate and keep warm with a towel. After they cool, they're quite a bit more sturdy... and are less likely to break or crack... you'll even be able to bend and curl them. I am always amazed at your ability to make these flatbreads! 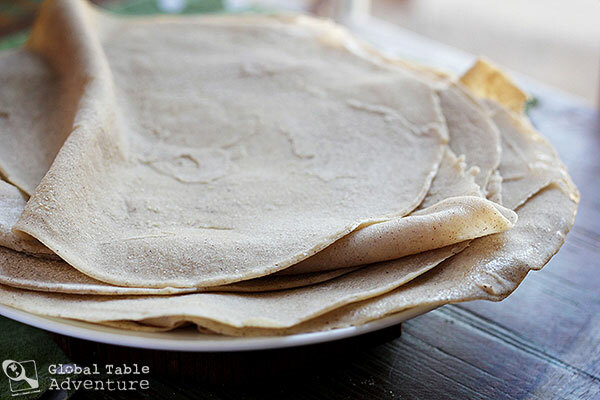 My first (and only) attempt at injera ended in disaster. 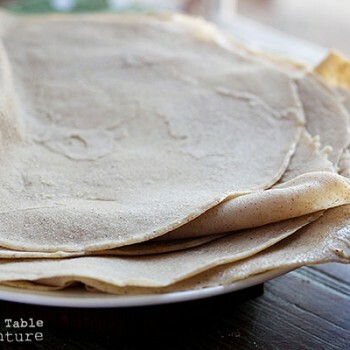 I have a friend whose mother is from Ethiopia and she told me to not even try anymore because, after a lifetime of making injera, she still makes mistakes sometimes. 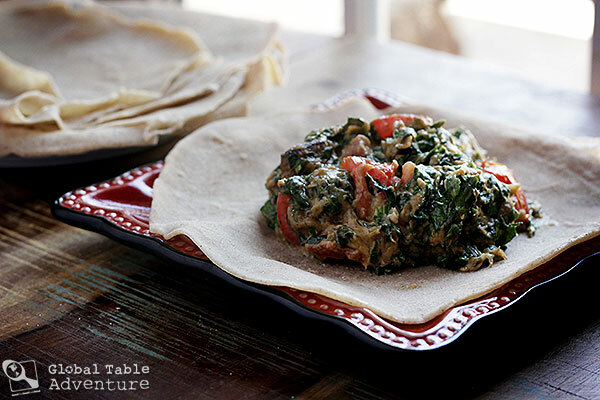 When I return to the US eventually, I am going to retry injera and add laxoox, kisra, and the other flatbreads you’ve made to my attempt-at-least-twice list! We are all Sudanese sister. South North Centre East West whatever! Everyone knows Kisra is All-Sudanese thing and they more or less prepare in the same way. This guy just happened to give his perspective based on South Sudan and I bet he’d have done the same if he got his experience from the North. I’ve never been able to make these. I sat down at the stove tonight and tried. 2 days earlier, i made 3 batches of self-fermenting batters. 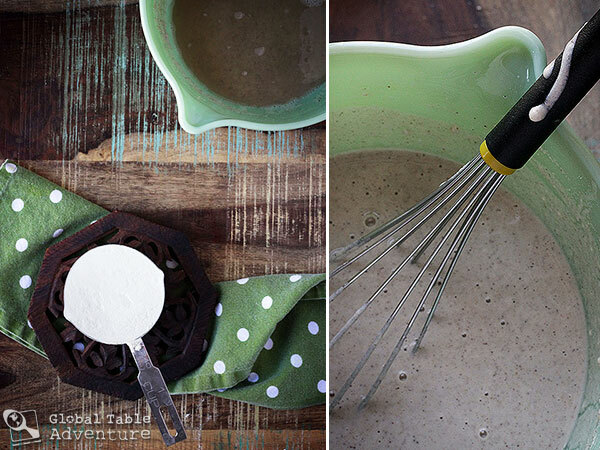 I added live yogurt to……sorghum flour, sorghum plus wheat flour, and just wheat flour….and some water.. I let these mixes sit covered on the counter for about 30 hours to ferment. 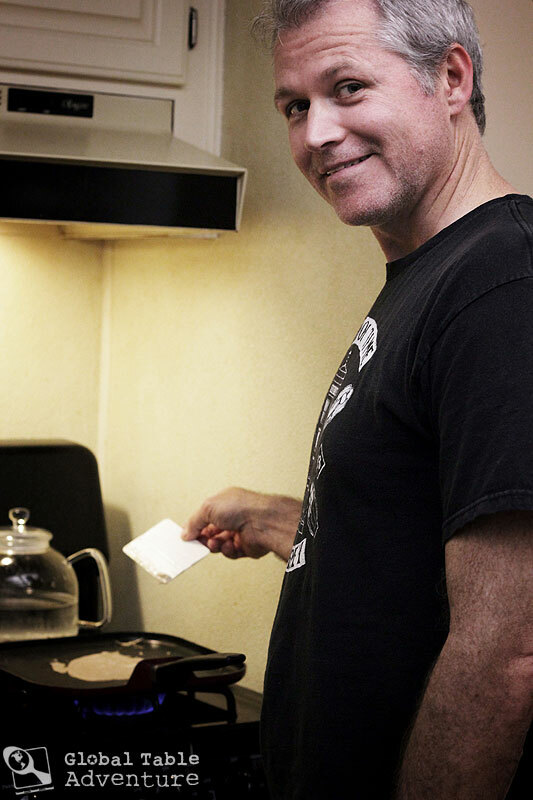 Then in the last 2 hours….I added extra wheat flour to each, plus a little sugar and a pinch of salt. I tried cooking these with various amounts of water….to get a crepe-batter consistency. I used a non-stick pan with barely any oil. None of them worked as desired. The only successful pancake was when i added oil to the batter….and the pan was just below the smoking stage (safflower oil). if you only use Sorghum it will fall apart since there are no gluten to hold it together. I bake glutenfree so might try adding Chiaseed gel or Xantan gum. What do you think of the flavour? I am not to keen on Sorghum because of the bitter flavour. I didn’t find it bitter at all… hmm… it reminded me a bit of whole wheat flour. I wonder if you had an expired bag of it? looking foward to the stew recipe next! Well, as far as I know, sorghum is a kind of millet, you can use it in baking recipes for rolls, pies, cakes and other breads, It makes rolls, etc. a bit crisper. You also may use it to thicken gravies and soups! How fun to see a picture of Brian! I’ve been reading his wonderful insights for over a year now and its so nice to know the face that goes with the words! 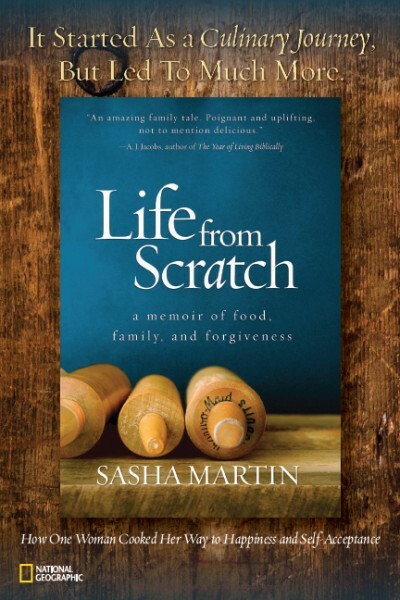 I have recently discovered your site & am so enjoying traveling through your meals. 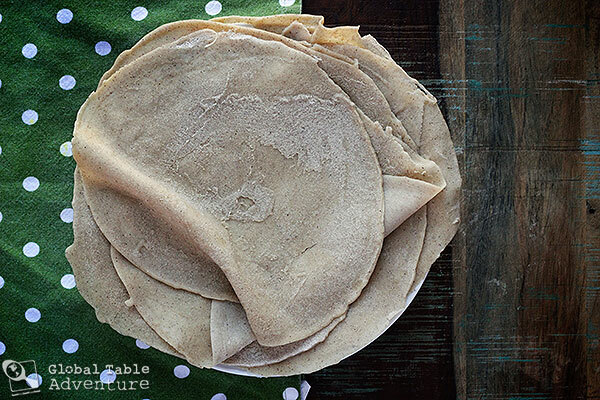 Most South Africans know sorghum flour as maltabela & we eat it as a porridge for breakfast. This is also a north Sudanese dish, so please correct that and give credit where it’s due.